Load Capacity: 1000 kgs, 1500 kgs and 2000 kgs. 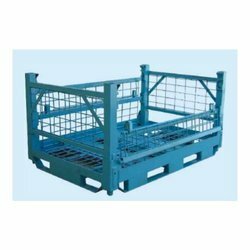 Our firm is a well-known manufacturer, supplier, distributor, wholesaler, trader and retailer of MS Pallets. We offer Fabricated Custom Built MS Pallets. We present to you the best quality MS Pallets. 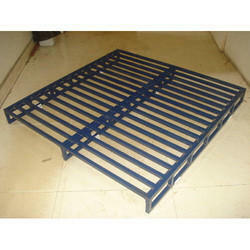 These pallets are very effective in the easy and secure transfer of goods. MS Pallets are a good alternative to the wooden version as they are safer to use and has a longer life along with being eco-friendly. These are available in diverse hues and designs.